GALION — There will be no Oktoberfest in Galion this year. This item was posted on the Galion Oktoberfest website last week. 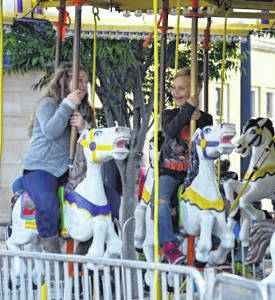 File photo This item was posted on the Galion Oktoberfest website Thursday. “There will not be an Oktoberfest in Galion this year. Thank you to all who have attended past festivals. After 40 years of organizing this event, we hope someone will pick up the torch to plan for next year.” Look for a story on this in next week’s Galion Inquirer. https://www.galioninquirer.com/wp-content/uploads/sites/38/2018/08/web1_Oktoberfest-6-275×300.jpgFile photo This item was posted on the Galion Oktoberfest website Thurrsday. “There will not be an Oktoberfest in Galion this year. Thank you to all who have attended past festivals. After 40 years of organizing this event, we hope someone will pick up the torch to plan for next year.” Look for a story on this in next week’s Galion Inquirer.